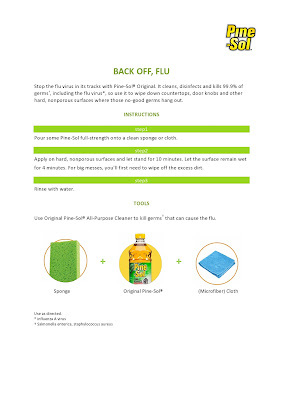 Savoring Me Time With Pine-Sol®! I first knew about Pine-Sol through my mom who's very OC about everything. My parents would buy gallons and gallons of Pine-Sol from S&R and I would always find it funny. Heehee! But seriously, I haven't always liked the smell of the competing brand's lemon scent, masakit sa ilong, and it's one of the reasons why I wasn't using any cleaners in my kitchen or bathroom, just plain soap. Then one day my mom gave me a bottle of Pine-Sol to try and it changed my life. May ganong drama? Heehee! This package came to my doorstep about a month ago! So much Pine-Sol goodness! I didn't know they have other variants. I am very excited to try the other variants especially Lavender. Along with the bottles of Pine-sol was an invitation to spend a morning of health and wellness at Sofitel Manila. 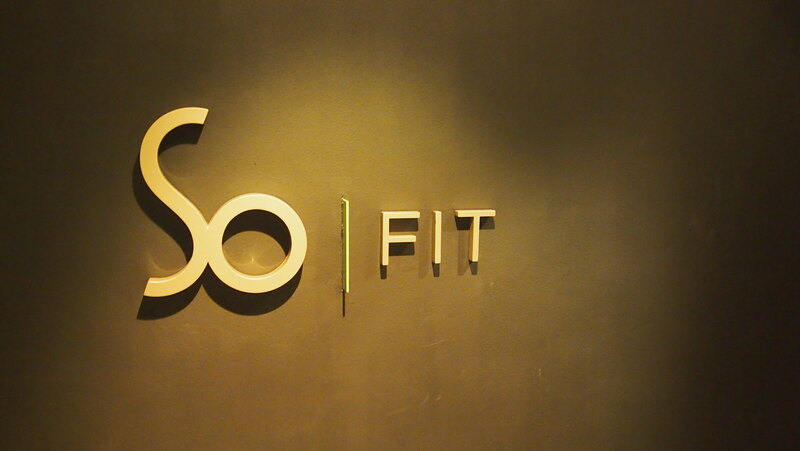 It was my first time to do yoga and I was nervous because it has been awhile since I did some exercise but I was also excited to try something new! I came straight from taking Y to school. We all met at the Le Spa where we had a change of workout clothes then went straight to So Fit. 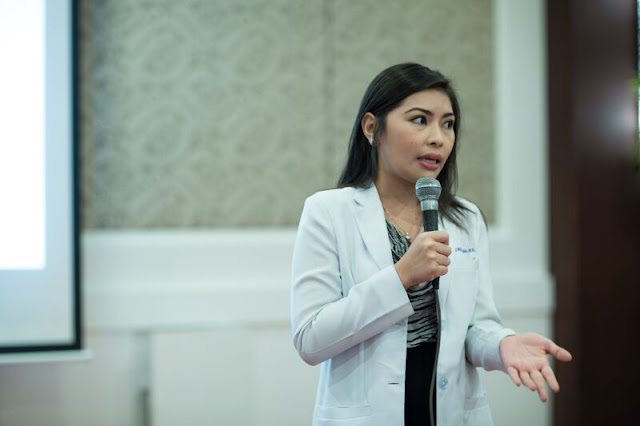 Before we began our yoga class, Tisha De Veyra, Director of Marketing for Clorox International Philippines Inc., welcomed us to our morning of health and wellness. I can feel that everybody in the room that morning was happy to break away from their daily routine and just spend time with fellow mommas. Then Tisha asked us what do we do for our me time. My me time is my sanity check. I don't get to have a lot of me times nowadays but I make the most out of it with short trips to the grocery, spending time (just like the Mothers Who Brunch last month) and eating out with friends or the 3 hours I spent in school everyday while waiting for Y and I really really savor my me-time! 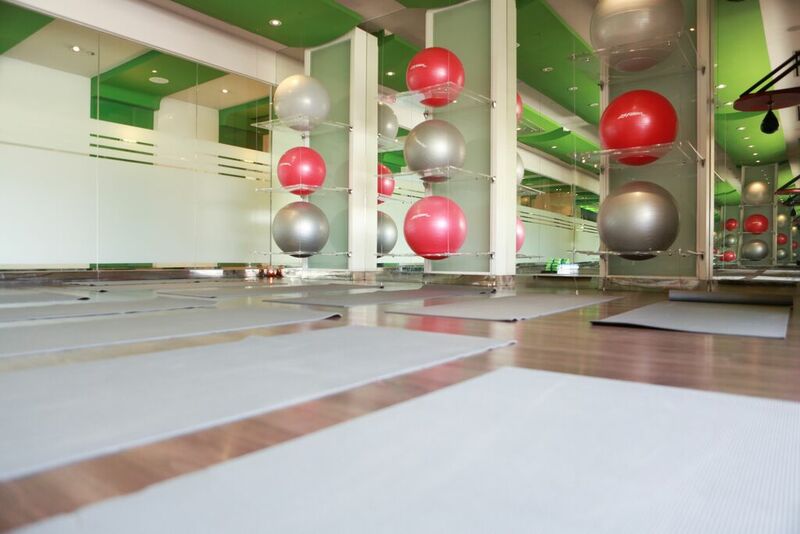 Our Yoga Instructor was Joanne Santos. 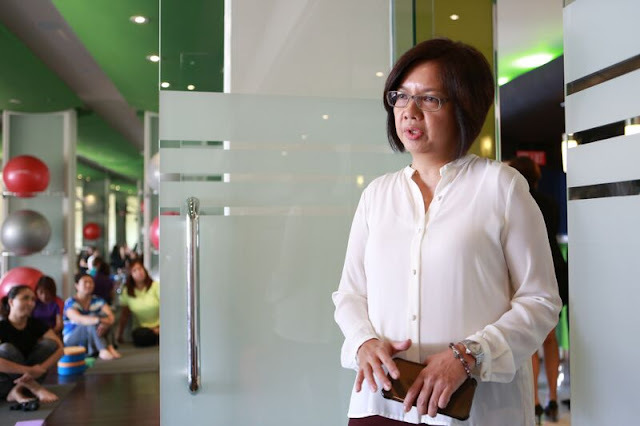 Teacher Jojo has been practicing yoga for more than 10 years. She started doing yoga as a way to lose her pregnancy weight. Ako kaya kelan papayat? Heehee! Most of us were beginners (and anxious at the same time haha) and assured us we won't be doing any complicated poses but only basic yoga. I must say I really enjoyed the yoga class, reminds me very much of the warm-up exercises we do in my dance class in college. I can't say the same in terms of my flexibility. Haha! My muscles and joints are tight na. But I didn't feel any immediate pain after. Heck! I didn't even sweat. But lo and behold the next day, my leg muscles hurt! And I have to climb up and down four flight of stairs because we live on the 4th floor! Ouch! But look how refreshed and recharged we looked. Bagay ang yoga sa atin. Haha! 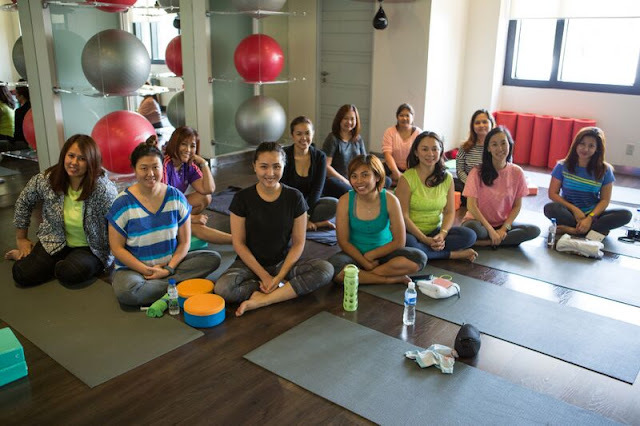 Thank you Pine-sol for our yoga me-time! It was one of the most quiet hour I have spent with myself. Namaste! After our class, it was time for lunch! 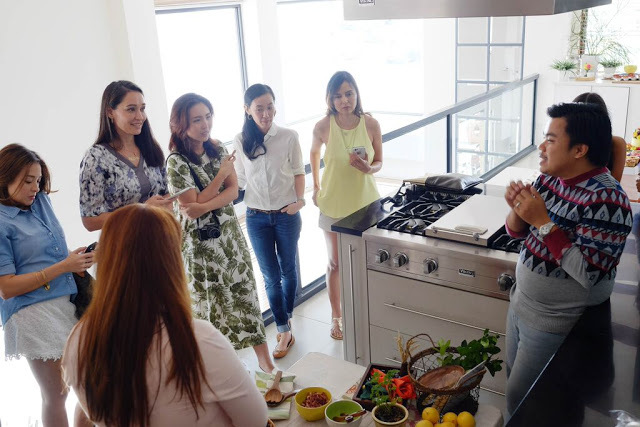 We went back to Le Spa to freshen up, had change of clothes, and fix ourselves then went to one of Sofitel's function room for lunch and to talk more about Pine-Sol. 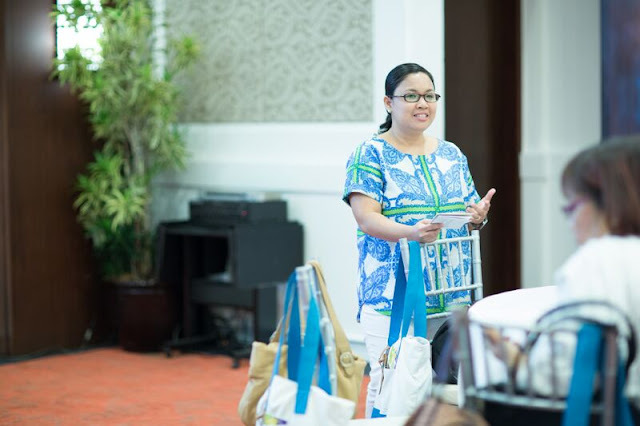 Renelle Revilla Delos Santos, Brand Manager for Pine-Sol, told us more about the brand, its history and the many ways how we can use Pine-Sol in our homes. Pine-Sol was created by chemist Harry A. Cole. He long knew that pine oil was a natural disinfectant and deodorizer. 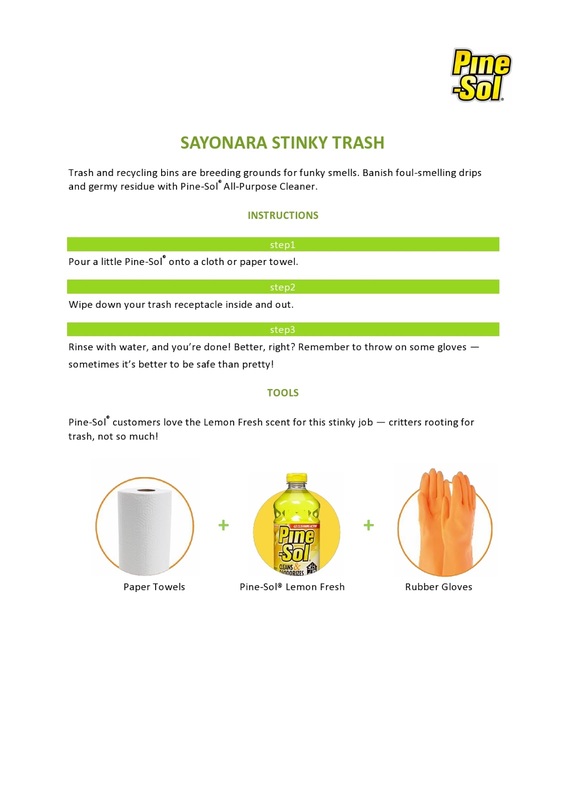 One day he decided to roll up his sleeves and created Pine-Sol® Brand Cleaner! 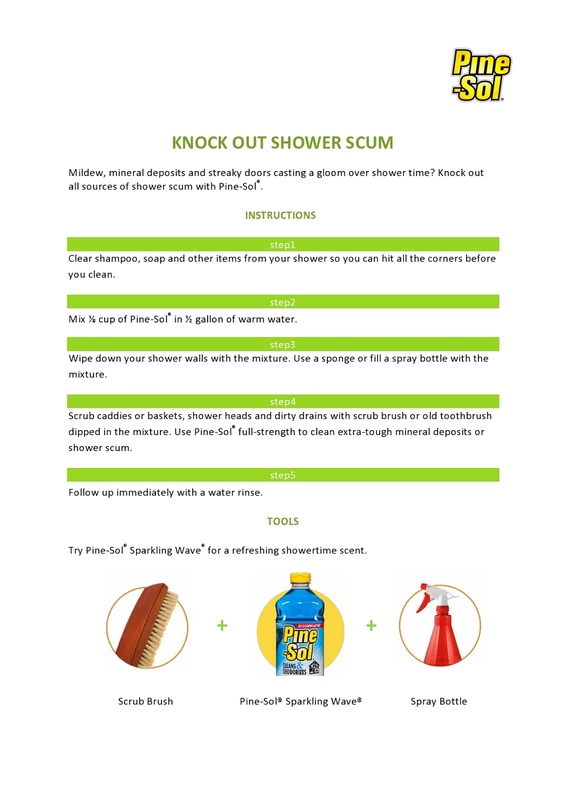 The brand was later acquired by the Clorox Company in 1990. 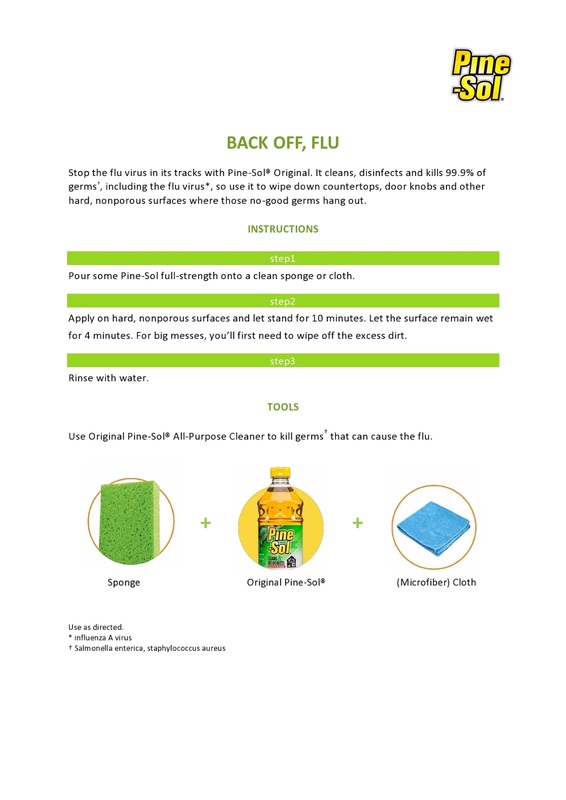 Today, Pine-Sol® All Purpose Cleaner comes in five scents: Original, Lemon Fresh, Orange Energy, Lavender Clean® and Sparkling Wave®. 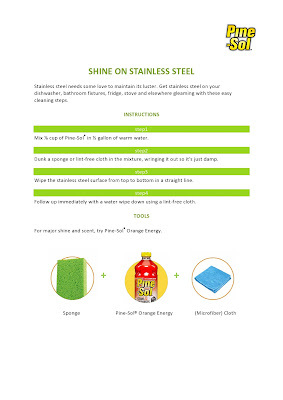 For so long, I only thought Pine-Sol can only be used for cleaning the bathroom. Well, that's how we've been using it. Haha! 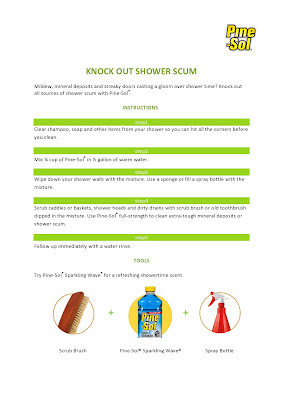 Cai, kaya nga All Purpose Cleaner eh. Toink! 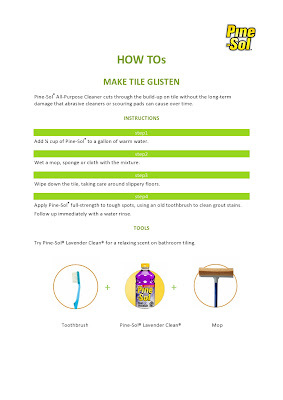 So I was so amazed on the many ways on how we can Pine-Sol® in our homes! I'm sharing with you some of the How-Tos we can use Pine-Sol®! Just click on the photo to enlarge! 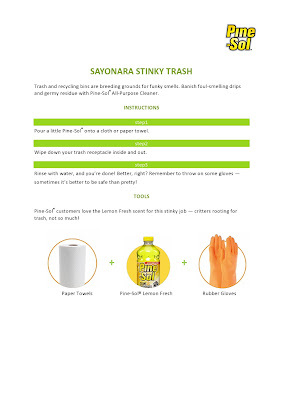 With Pine-Sol®, you don't need to buy separate cleaners for your furniture, floor, appliances, and counters. Pine-Sol® can fight dirt, germs, grime and greases, and deodorizes all of these surfaces. Talk about value for money, right? 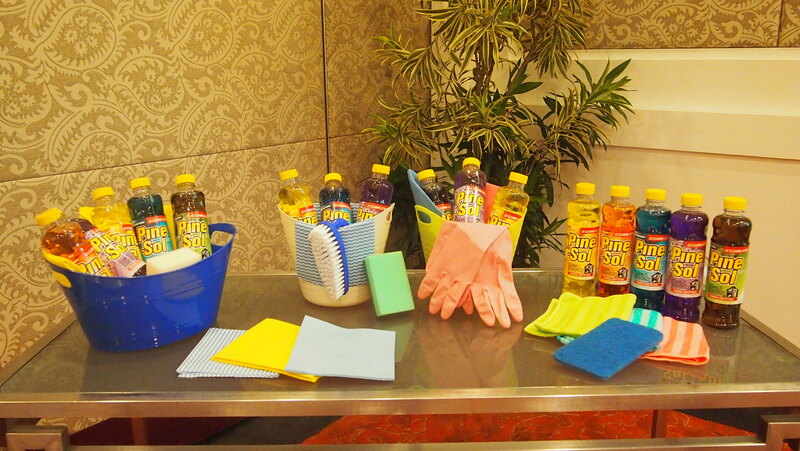 Did you know (for general cleaning), a 500ml bottle gives you 8.3 gallons or 33 liters of cleaning power! Just add water and save! Ang galing diba? I am going to copy and Didi and put them in atomizers and put them in every room of the house! Easy, practical, and budget-friendly! 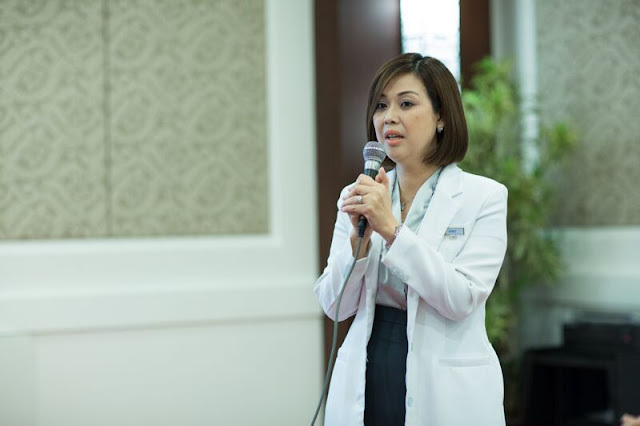 While having our healthy meal, talks about beauty, nutrition, and wellness were given by Nutritionist Agnes Tumaneng, RND and Dr. Jade Cada, Aesthetic Doctor at Vietura. We have to take care of ourselves so we can also take good care of our family too, right? 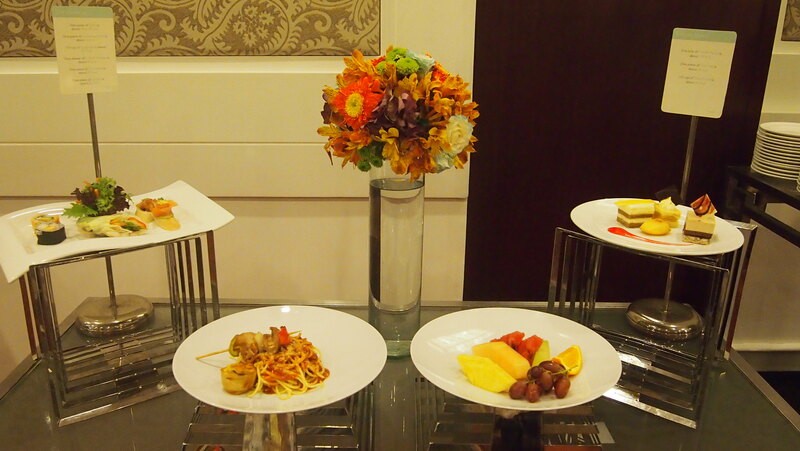 We had this super yummy lunch to go with the talks. 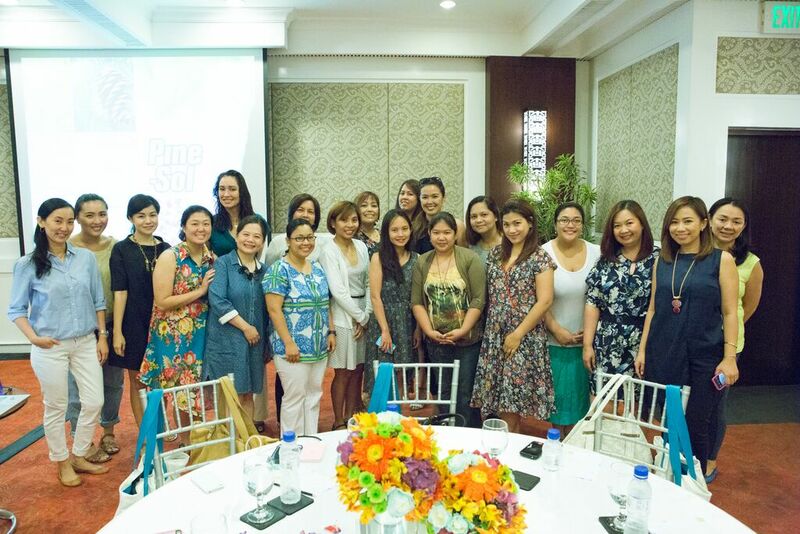 Thank you Pine-Sol® for our pamper day! We all deserve it! 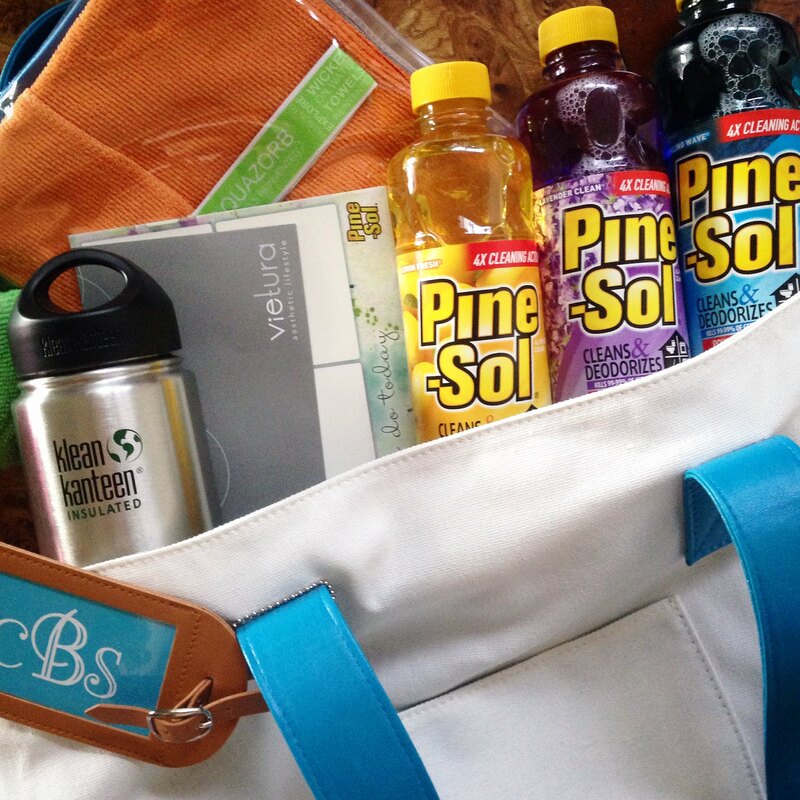 Each of us took home a tote bag with a bag tag with our initials and I loved everything inside: more Pine-Sol®, Aquazorb Towel, Klean Kanteen, notepad, and a Vietura GC! 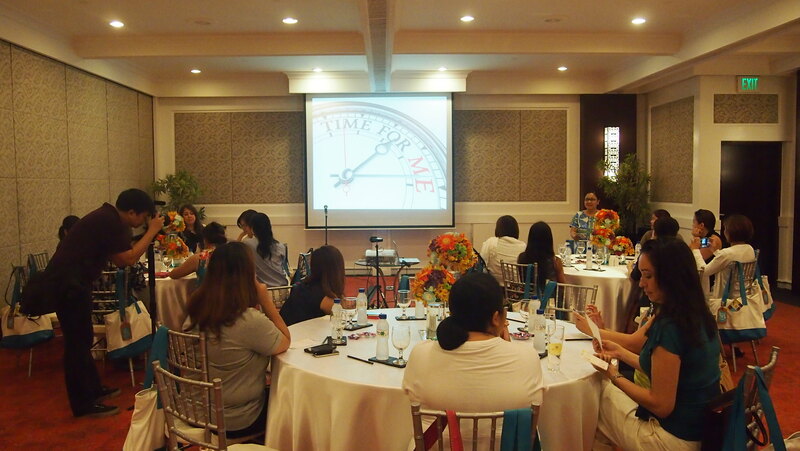 Thank you so so much Mish and Patty for inviting me! How about you? Do you have a Pine-Sol® favorite? 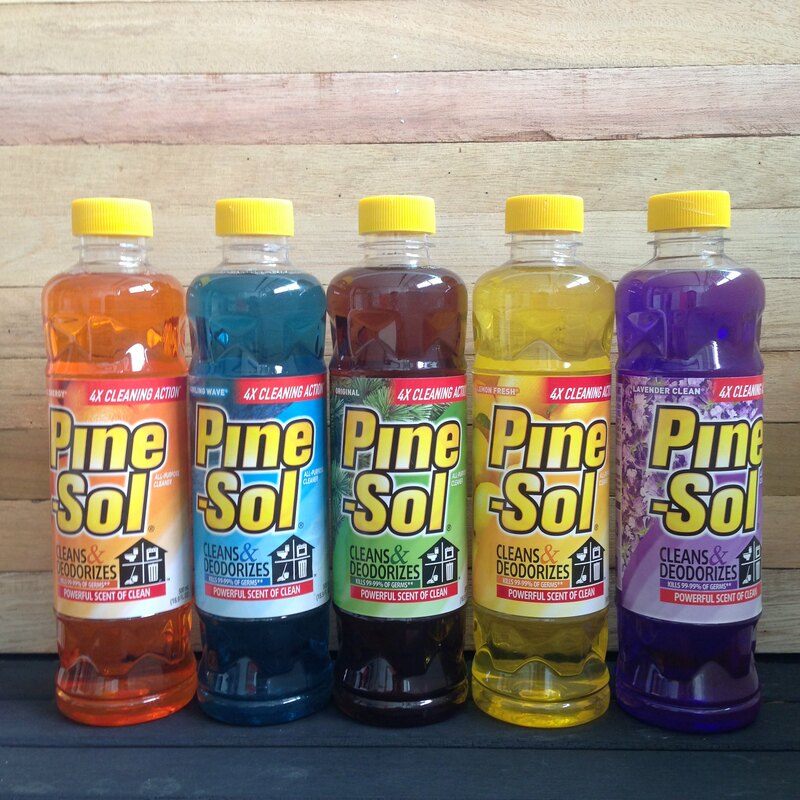 Pick your Pine-Sol®! For more information on Pine-Sol®, check out Pine-Sol Philippines!